The GameBoy from Nintendo has proven itself to be a real cultural shift, where handheld gaming really took off – although its predecessor, the Game ‘n’ Watch, has also had its fair share of fans. 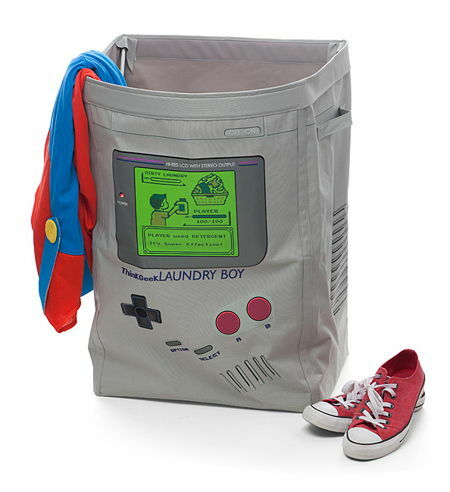 Well, you can now relive your 8-bit portable gaming past with the $19.99 LaundryBoy Hamper, except that the LaundryBoy Hamper will not run on any kind of batteries, but rather, it will collect all of your dirty laundry. It is a snap to assemble, and easy to transport. I suppose you can call this the next generation of portable laundry gaming, now how about that? At least your clothes need not be all over the place now.